There’s nothing like sipping a glass of full-bodied wine infused with warming herbs and spices on a cold winter’s night. Herbal bitters kick it up a notch since they’re higher in alcohol and loaded with compounds reluctant to surrender their medicinal properties to water. And here’s sobering news: These easy-to-make herbal preparations are good for your health too. 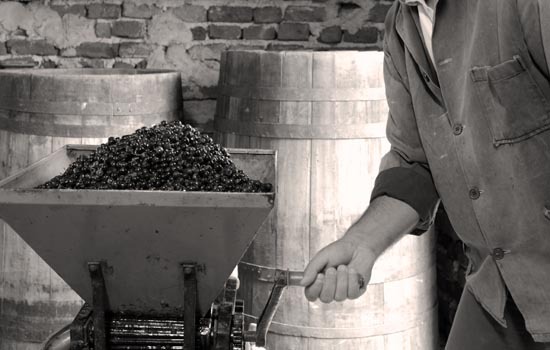 Winemaking is a very old art. While no one is sure exactly when the first fermented fruit juice was made, we know for certain that the ancient Egyptians made wine from a wide variety of flowers and plants. However, there is evidence that fermenting botanical materials dates as far back as the Neolithic Period. Although herbal wines have been lifting spirits for a very long time, these infusions have also been used in medicine. For instance, Hildegard of Bingen, the German composer, philosopher, mystic and author of numerous botanical and medicinal texts, recommended imbibing lavender wine to remedy an ailing liver, lungwort wine for respiratory disorders and parsley wine sweetened with honey to strengthen the heart. Most people think of dandelion or elderberry when it comes to varieties of herbal wine, but there’s a much larger field of flavor to explore. In fact, almost any herb or combination of herbs, fresh or dried, can be used to make wine. Flowers, such as rose and lavender, are also good additions because they add tang, aroma and subtle color. Herbal bitters were once promoted as patent medicines, but are now generally served with meals as digestifs. As the term implies, herbal bitters contain herbs that stimulate digestive juices and bile flow, such as gentian root, milk thistle, goldenseal root and artichoke leaf. The most famous concoction is also one of the oldest -- Angostura bitters. Formulated in the early 19th century by the German physician, Dr. Johann Gottlieb Benjamin Siegert, Angostura bitters were originally intended to improve digestion and to thwart seasickness. Allegedly, the exact formula is a closely guarded secret that only five people are privy to. Herbal bitters are still enjoyed in Europe and South America as after-dinner treats served “neat” or over ice, although the practice is slowly making a comeback in many U.S. restaurants as well. Bitters are also used to start or stimulate many popular cocktails, including the Manhattan, the Old Fashioned and Pink Gin. The short cut to making herbal wines at home (and the secret to avoiding large pots, sterilized jars and yeast to trigger fermentation) is to start with finished wines. Generally speaking, the higher the sugar and alcohol content in the wine the better because these factors make the phytochemicals in the herbs more bioavailable in your body. Red or white table wines with 9 to 12 percent ABV (alcohol by volume) are good choices, as are port wine, brandy or cognac. The process is simple. Start with an ounce of fresh herb or half-ounce dried herb to each pint of wine. Place the herbal material in a non-metallic container with a tight-fitting lid, then pour the wine over the herbs. Cap and store in a cool, dark place away from direct heat and drafts. Give the container a shake every day for about two weeks. Strain the herbs and store the reserved herbal wine in a clean container. Your herbal wine should last up to 12 months. If you notice one day that it tastes or smells like vinegar, it’s a sign that it’s time to make a new batch. The simple way to make herbal bitters at home is the same as it is for herbal wines, except for the choice of spirits used for the base. The most commonly used alcohols to make herbal bitters are gin, vodka, rye and rum. While you can use any combination of herbs, fruits and spices, these are popular choices for bitters: Quassia wood, barberry root, milk thistle seed, gentian root, burdock, licorice root, dandelion, ginger root, peppercorn, artichoke leaf, allspice, vanilla, lavender and hops. Before you raise a glass of herbal wine or bitters to toast your health, talk to your physician about the risk of herb-drug interactions if you take any pharmaceutical medications or if you have a chronic medical condition, such as diabetes, high blood pressure, or heart, kidney or liver disease. Because safety data is lacking, do not consume herbal wines or bitters if you are pregnancy or nursing.